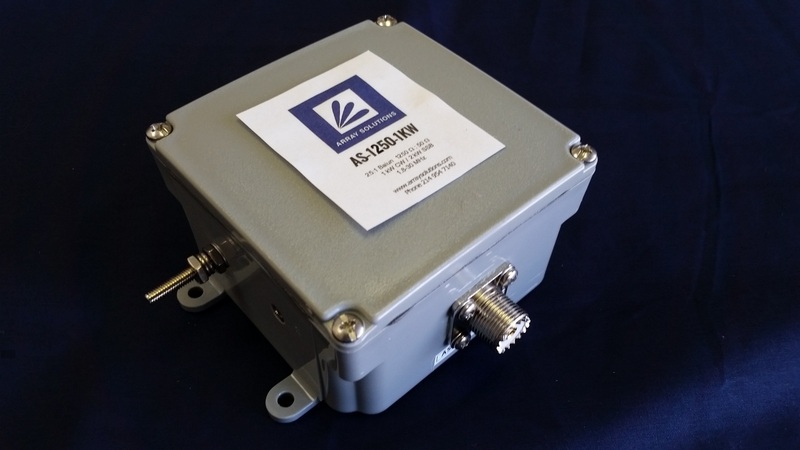 AS-1250-1kW - 25:1 ratio Balun, 1 kW CW / 2 kW SSB, 3.5 - 30 MHz. 1250 ohms to 50 ohms. 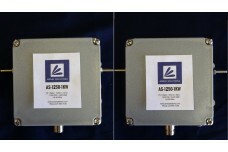 The balunsshown here haven N-type connector and SO-239 connectors. A DIN 7/16 is another option, let us know if you need other alternatives. 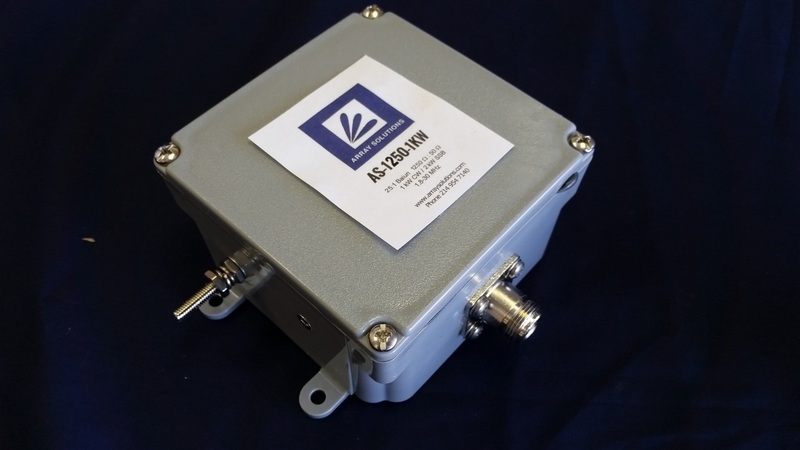 SWR plot with a 1250 ohm load. Test set up for the Return Loss (S11) of two back to back baluns with a 50 ohm load at the second balun. 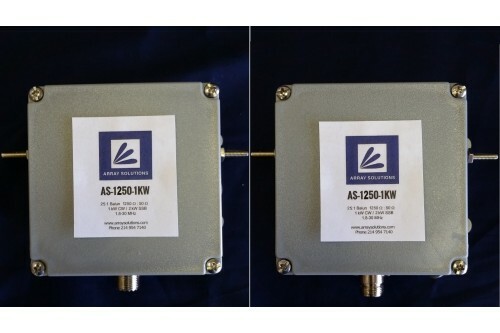 For the Insertion Loss (S21) of two AS1250-1kNB transformers the 50 ohm load was replaced with a connection to Port B of our VNA UHF Vector Network Analyzer. 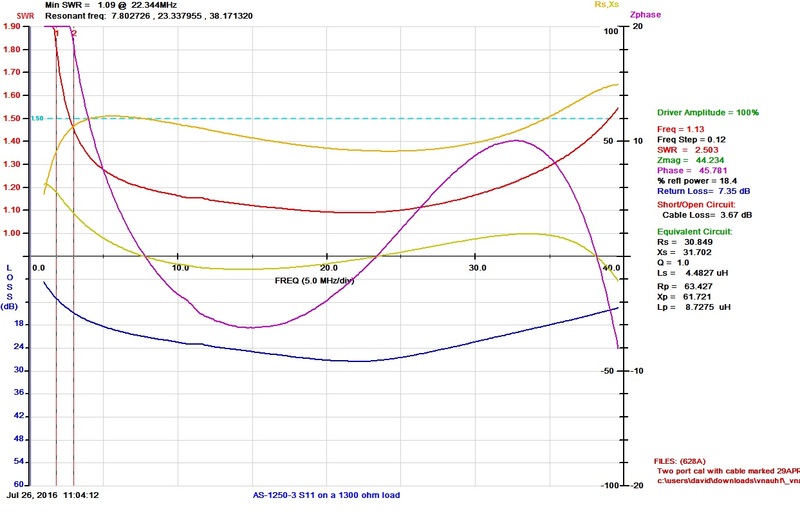 Insertion Loss (S21) Plot of two AS-1250-1kNB connected back to back. To have the insertion loss of one AS-1250-1kNB, the insertion loss figures need to be halved. 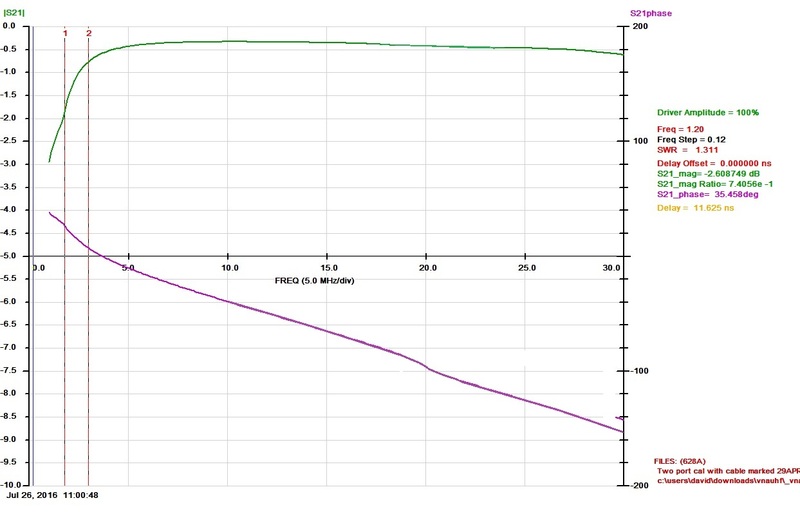 In example: At 25 MHz the plot shows 0.5 dB of insertion loss for the two baluns, it would be less than 0.25 dB for one balun if the back to back connections losses are taken in account.